What our customers are saying about our Holiday Cottages In Owslebury To Rent. "This was the second time I had stayed in S112846, as had such a positive experience on my first visit with a different group of friends. 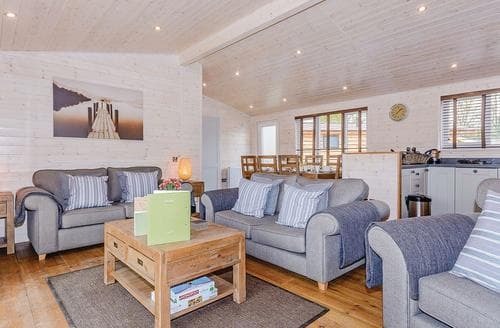 The lodge is very cosy, but also big enough for 6 adults, which was very important. In terms of practical things, the kitchen is well stocked. On other similar holidays sometimes we have found there have not been enough utensils/cutlery etc, but here this was no problem at all, and the hob and oven worked really well. We went at the end of January and so it was very cold - the heating worked well and quickly so after coming in all wet from walks we were able to get comfortable again very fast.The bedrooms are very nice, but the bunk bed is a little squeaky. Good storage space for bags and suitcases etc. We loved the wooden panelling throughout the lodge. 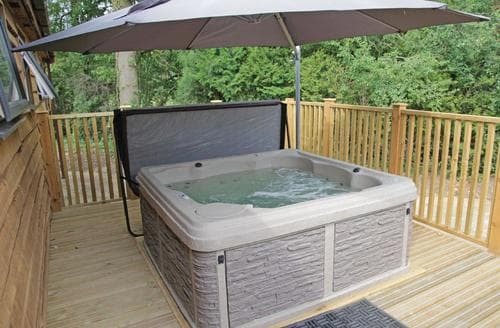 We used the hot tub most evenings, and really enjoyed being able to make the most of it, this made the weekend very special!Overall, a very luxurious lodge we will likely visit again!" "This was the second time I had stayed in S112856, as had such a positive experience on my first visit with a different group of friends. 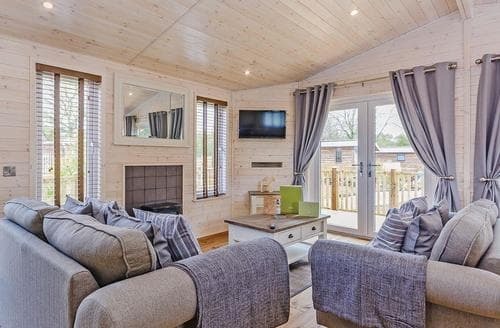 The lodge is very cosy, but also big enough for 6 adults, which was very important. In terms of practical things, the kitchen is well stocked. On other similar holidays sometimes we have found there have not been enough utensils/cutlery etc, but here this was no problem at all, and the hob and oven worked really well. We went at the end of January and so it was very cold - the heating worked well and quickly so after coming in all wet from walks we were able to get comfortable again very fast.The bedrooms are very nice, but the bunk bed is a little squeaky. Good storage space for bags and suitcases etc. We loved the wooden panelling throughout the lodge. We used the hot tub most evenings, and really enjoyed being able to make the most of it, this made the weekend very special!Overall, a very luxurious lodge we will likely visit again!" 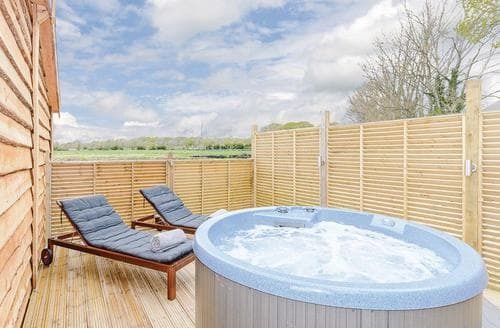 "Lovely lodge and hot tub but location could be better. Kids trapsing past gawping in all day, shouting let’s have one while we were having a bbq, when relaxing in hot tub kids screaming in the field behind and can be heard in the bedroom early in the morning. This is an activity centre so kids around all day every day. There were no luxury toiletries as advertised on the website , luckily we took our own and the tv signal and WiFi were shocking. There is no club house or bar or shop so u have to drive a long way to get supplies. We enjoyed our few days but we were mainly out and about, would be bored staying in the lodge all the time. Bed was comfy, zoo nearby was very good. I think for a relaxing time I’d choose somewhere different and with amenities." "We wanted time together as a couple with no kids and no pets. Somewhere we could relax and enjoy just being together. The lodge not only did that but also spoiled us as we didnt want to leave. The staff really pay attention to detail in presenting the lodges. So warm and welcoming and clean. We really had a great time"
"The lodge was clean and adequate, although the sofas were very soft and not very comfortable. Double bed was small. 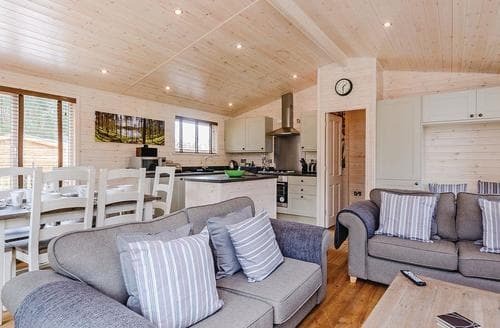 Location of the lodge close to the site workshop was not ideal, nor was the requirement to park away from the lodge, which we complied with, although our neighbour did not."